Kadokawa Pictures announced its upcoming lineup at an event held at the company’s newly opening theater in Yurakucho, Tokyo. Out of the newly revealed movies, one that garnered a lot of attention is the the tentatively titled “Sadako 3D,” featuring the famous character from the “Ring” horror series. “Ring” is a 1998 Japanese horror film by Hideo Nakata, adapted from the novel of the same name by Koji Suzuki, which draws from the Japanese folk tale Banchō Sarayashiki. The film stars Nanako Matsushima, Hiroyuki Sanada, and Rikiya Otaka as members of a divorced family. The film was later remade in the United States as The Ring (2002). Sadako, identified by her long black hair covering her face, has become an iconic character in the Japanese horror genre. 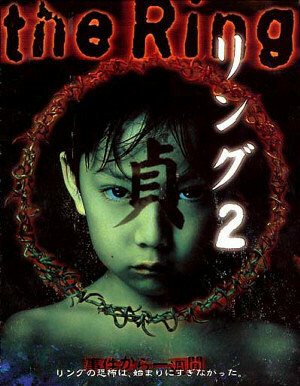 Koji Suzuki, the author of the original “Ring” novel series, indicated that the new 3D film will include a scene of Sadako coming out of a television set, similar to the original. Two teenagers, Masami (Hitomi Sato) and Tomoko (Yuko Takeuchi) talk about a videotape recorded by a boy in Izu which is fabled to bear a curse that kills the viewer seven days after watching. Tomoko then reveals that a week ago, she and three of her friends watched a weird tape and received a call after watching it. Unnervingly similar to the storied videotape, Masami realizes that Tomoko was fated to die. After some unsettling moments, Tomoko is killed by an unseen force with Masami having the horror of watching.